$31.542 million on 2315 screens. One 1995 episode of The Simpsons offered a comedic look at prospective events in 2010. One of the gags mocked the concept that Jim Carrey would make movies that endured enough to merit a serious film festival retrospective. Indeed, that idea sounded silly in 1995, but more than 20 years later, it doesn’t come across as absurd at all. Over the years since that Simpsons episode, Carrey did a lot to establish himself as a serious actor, and 1998’s The Truman Show became his first major step in that direction. Carrey plays Truman Burbank, the unknowing star of his own reality show. He lives in the fictional town of Seahaven, a burg created just for him populated solely with actors. The program followed him from birth and now finds him in his mid-thirties. Truman spends most of his time with “wife” “Meryl” (Laura Linney) and “best pal” “Marlon” (Noah Emmerich). His “mother” (Holland Taylor) also lives in town, but his “dad” (Brian Delate) apparently “died” in a boating accident years earlier, an event that induced a fear of the water in Truman. Everyone in town – and in the viewing audience - knows this is a ruse except its star. Strange happenings start to give Truman clues, though, especially when his “dead” dad mysteriously reappears. A few other events make him suspicious, and he more actively pursues his longtime dream to visit Fiji. Why there? Because his brief illicit college romance with “Lauren” (Natasha McElhone), an extra who almost spilled the beans to Truman. When her fake father carted her away, he claimed they were moving to Fiji, so Truman became obsessed with that destination and a reunion with his lost love. For the most part, the film follows Truman’s attempts to unravel the mystery and escape. We watch all the various complications series creator Christof (Ed Harris) puts in the way and how Truman reacts. All of this occurs as the whole world follows the events. When I examine The Truman Show, I find myself of two minds. On the negative side, the movie asks us to suspend disbelief to an extreme. In fact, it requires us to demolish, obliterate and utterly destroy disbelief if we want to accept it. I couldn’t do it. As I watched the flick, I couldn’t help but frequently consider the absurdity of the situation. There’s no way anyone could pull off a charade of this magnitude, especially not for such a long period of time. Sure, the movie tries to explain some of the mechanics, but it remains an utter impossibility. In addition, such a series would be absurdly expensive to mount, and it’d have to rely on an enormous and insanely loyal audience. No series could maintain such a huge viewership for more than three decades, especially not one with so much mundane material. Think about it: how interesting would it be for anyone to watch your life 24 hours a day? For every interesting moment, there are thousands of dull ones. A series like that would be a moderately intriguing curiosity for a little while but never would amount to more than that, especially in a setting as quiet and sedate as Seahaven. And how could they get actors to commit to such a series? It’s one thing for some of the extras to come and go, but is someone like “Hannah Gill” – the “actress” who plays Meryl – really going to give up her true life to spend so much time on the set with Truman? Despite the myriad of logical gaps involved with the project, I admit that Truman offers a thoroughly entertaining flick. Many tout the fact that it predicted the reality TV craze, but I don’t care about that. I simply think the movie’s often a blast to watch as we check out all the ways that the producers manipulate Truman’s life. Sure, it’s amazingly ridiculous, but it’s darned fun to see. 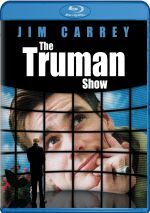 Though Truman is supposed to be the film that opened up Carrey’s dramatic range, I don’t see it that way. He still mugs and goofs a lot of the time, as he rarely makes Truman feel like a real person. Some of that makes a lot of sense; someone raised in such a TV-oriented environment certainly would have an unusual personality. Still, Carrey’s dramatic strides are minor. He does as much “real guy” material in The Mask as he does here. Don’t take that as a slam on Carrey or his performance, though. He’s very entertaining as Truman, and his presence helps make the movie work. A less interesting but more realistic actor would have been a liability, as Carrey enhances the artifice of the situation. I simply think it’s a mistake to view this is a really human, three-dimensional performance. Carrey has greater range in him, but he doesn’t show it here. When I balance out the two sides, I leave The Truman Show with a guarded positive rating. It’s a blast to watch but it stretches believability so far that it snaps and hits me in the eye. Watch this movie without much critical thought and you’ll really enjoy it. The Truman Show appears in an aspect ratio of approximately 1.85:1 on this Blu-ray Disc. The movie came with a watchable but disappointing transfer. Sharpness was erratic, largely due to the presence of both edge haloes and digital noise reduction. While not overwhelming, both of these issues cropped up throughout the movie, and they harmed definition. Close-ups usually looked fine, but wider shots lacked the clarity they should’ve boasted. I saw no jagged edges or shimmering. In regard to print flaws, I noticed a couple of specks but nothing else arose. With its happy TV setting, Truman featured a broad, lively palette that looked mostly good. The digital processing made the hues a bit too heavy at times, but they were usually satisfying. Blacks were dark and dense, while low-light shots demonstrated fairly good definition, though those scenes suffered from the worst noise reduction. In the end, this wasn’t a terrible image, but it fell short of what it should’ve been. I also liked the Dolby TrueHD 5.1 soundtrack of The Truman Show. Unsurprisingly, the scope of the soundfield was usually limited. Some weather sequences opened matters up, though, as thunderstorms and a sea squall brought the surrounds to life. Most of the time the track stayed with general ambience, and it delivered those elements well. Music also showed nice stereo imaging with a little reinforcement from the rear. Audio quality sounded good. Speech was natural and concise, while music demonstrated nice clarity and range. Effects appeared accurate and full. The louder bits like thunder presented solid depth and punch, and no problems came with the track. The mix wasn’t particularly ambitious, but it came across as a positive one. How did the Blu-ray compare to the 2006 Collector’s Edition? Audio showed a little more zing, and visuals tended to be a bit better defined. However, the issues with digital processing made the improvements less pronounced than I’d expect. The Blu-ray offers the last DVD’s extras, and we open with a documentary called How’s It Going to End? : The Making of The Truman Show. 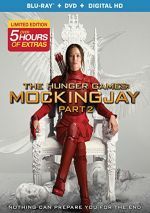 The two-part show fills 41 minutes, 47 seconds with info from director Peter Weir, production designer Dennis Gassner, producer Edward Feldman, visual effects supervisor Michael McAlister, and actors Noah Emmerich, Laura Linney, Ed Harris, and Jim Carrey. The program looks at the script and its development, casting, characters and performances, the design of the locations and sets, camera issues and cinematography, and reactions to the final flick. The only real disappointment here comes from Carrey’s lack of participation. He only appears via old clips and barely pops up during the show. Otherwise, “End” presents a lot of useful material. I really like Weir’s backstory for the series and the actors’ insights into their characters. The show gives us a fine examination of various topics and remains consistently compelling. A featurette entitled Faux Finishing: The Visual Effects of The Truman Show goes for 13 minutes, 16 seconds. It presents remarks from McAlister, Gassner, and Matte World visual effects supervisor Craig Barron. They chat about the subtle use of visual effects in the film to build up existing sets and to create a “hyper-real” look to the environment. The show runs through the issues in a tight, informative manner and adds enough good archival materials to support the details. Four Deleted/Extended Scenes run a total of 13 minutes, nine seconds. We find “Product Placement” (five minutes, 25 seconds), “Truman Suspicious” (4:23), “The Future Cast Meeting” (2:09) and “Truman Missing” (1:12). All are reasonably interesting, though they don’t add much to the story. “Cast Meeting” offers the most intriguing piece since it lets us look behind the scenes at how the production operates. A Photo Gallery includes 40 shots. Most of these come from the set, though we get a few publicity images as well. We also find two trailers for Truman and two TV spots.